The Upbeat Dad! : Put Down That Drink! Aren’t You Driving Home? The holiday season is in full swing! The malls are getting more crowded, Santa’s greeting little boys and girls all over the world and holiday parties are on just about everyone’s agenda. It is, afterall, the most wonderful time of the year. In the midst of this wonderful season, quite often there are some families whose holiday is ruined by tragedy. Because of family gatherings, office parties and other social events, alcohol consumption increases during the season. And accordingly, alcohol related deaths also increase. This post is really a 2-day post because I think that the entire story is so powerful that I couldn’t cram it all into one day. So today, I will write about the dangers of alcohol in general and then how it can affect families. Then tomorrow, when we usually do our Upbeat Dad of the Week feature, I implore you to read our post. We’re taking time out to honor a remarkable woman. It’s a powerful, moving story about someone personally known to me. Her husband and I went to college together. I only met her at their wedding. But several years ago, in the heart of “the most wonderful time of the year” her life changed forever – alcohol consumption cost her husband, my friend, his life. She was devastated, losing her husband so suddenly at such an otherwise happy time. But she has since become an avid crusader against drunk driving. Whatever you do, please read the post tomorrow – it will be life changing and I hope, also life saving. 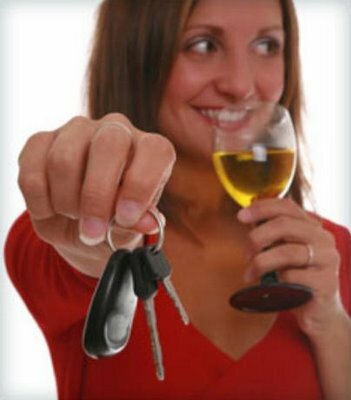 In the USA, 3 out of 10 people are involved in accidents related to drunk driving, at least once in their lives. The number of people who continue driving even after their licenses being suspended ranges between 50-75%. 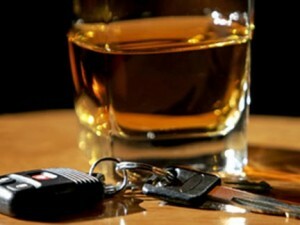 Accidents related to drunk driving take place every 45 minutes in the US. In the year 2002, 159 million drunk driving trips were undertaken by Americans. Out of these 159 million trips, 10% were taken by people from the age group of 18-20 years. 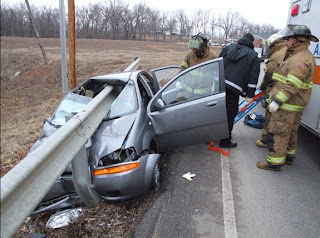 Around 275,000 people got injured in accidents related to drunk driving in 2003. In the year 2006, 1.46 million people were arrested for driving under the influence of either drugs or alcohol. It means that among every 139 licensed drivers in USA, one was arrested. The fatalities associated with drunk driving in youths under 21 years of age saw a gradual decline (71%) from the year 1982 (5,215) till 2008 (1,510). The setting up of National Highway Traffic Safety Administration (NHTSA) was responsible for this positive change. There are many more statistics that we can look at to prove the dangers of drinking and driving. But they all lead to one conclusion: families are torn apart by this phenomenon. Quite often we think of the lives of other families being ruined by drunk driving. We don’t often think of the impact it could have on our own families if we were involved in such fatalities. In tomorrow’s post, you will read firsthand of the effects on a family when a loving husband and father made the decision to drive under the influence of alcohol. I don’t particularly enjoy doing posts like this. It’s difficult to see how lives are torn apart by alcohol related driving. But I also know that in doing such a post to a worldwide audience, our readers might think twice about having that extra drink before getting behind the wheel. Or perhaps they might appoint a designated driver when they go partying in this festive season. Another statistic that I didn’t use earlier is that, although alcohol related driving has increased among women, men are more often than not the culprits in such cases. 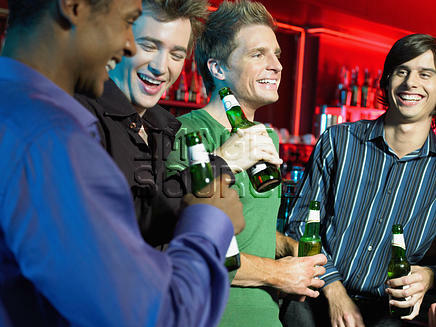 Men tend to drink and drive more. Many of these men are fathers. When their drinking causes a collision, their families’ lives can be affected – sometimes in irreversible, catastrophic ways. In this beautiful “most wonderful time of the year,” let’s exercise good judgment when we go out for a drink. The Jackson 5 sang a song entitled, “Stop! The love you save may be your own.” When it comes to this area, I say, “Stop! The life you save may be your own.” I also say, “Stop! The family you ruin may be your own.” Just a bit of food for thought. Again, please read tomorrow’s post. It’s a moving story that begins as a tragedy but ends as a triumph as a widow is making a difference after her husband lost his life. I know this post is a bit numbing but I also believe it’s quite necessary. Think on these things. We will “see” you tomorrow. Do enjoy your day.